After a failed attempt during last December's lame duck session, the Michigan state legislature has again initiated an attempt to move the Great Lakes state presidential primary into compliance with the national party delegate selection rules. State Senator David Robertson (R-14th, Genesee) has introduced SB 44 which would change the date of the presidential primary in Michigan from the fourth Tuesday in February to the third Tuesday in March. The language of the bill is the same as SB 1159 from the lame duck session late last year with the same impact. It would bring the state back into compliance with the national party rules, helping both Michigan parties avoid sanction from either the DNC or RNC. That means a full delegation -- on the Republican side anyway -- for the first time in two cycles if the bill is passed and signed into law. This would also push Michigan far enough down the calendar -- to March 15 for the 2016 cycle -- that it would be on the earliest date on which Republican states can utilize winner-take-all allocation rules. However, Michigan Republicans have already settled on an allocation plan that is not truly winner-take-all. Instead, the state party has authorized a conditionally winner-take-all system for 2016. If one candidate clears the 50% threshold in the statewide vote, then that candidate would be entitled to the full allotment of delegates from Michigan. If, however, no candidate wins a majority of the vote, the allocation is winner-take-all by congressional district with the statewide, at-large delegates awarded proportional to the candidates' shares of the vote statewide. March 15 is a date that the Michigan Republican Party has endorsed and also falls at a point on the calendar that coincides with primaries in regional neighbor, Illinois.1 Missouri also has a presidential primary scheduled for that date. There has been talk of a midwestern primary and this may be a spot on the calendar where states open to that idea gather. 1 If Illinois maintains that position. For the second consecutive session, Illinois state Representative Scott Drury (D-58th, Highwood) has introduced legislation to move the primary election in the Land of Lincoln. HB 193 would move the Illinois primary from the third Tuesday in March to the fourth Tuesday in June. Rep. Drury brought the same bill forward in 2013, and it went nowhere after being referred to committee. The 2015 bill would seem destined for the same fate. Illinois holds consolidated primaries, merging its presidential and other primaries. The move to June not only would mean a move to the very end of the calendar, but it would also mean that the primary would fall outside of the window established by the national parties. The window in which non-carve-out states can hold primaries and caucuses without penalty runs from the first Tuesday in March through the second Tuesday in June. A fourth Tuesday in June primary would fall outside of that part of the calendar. With delegates directly elected in Illinois, a June primary would also likely be logistically infeasible given July conventions for both parties. This one, like its predecessor, is likely not going anywhere. Two bills introduced in the Connecticut state Senate this morning would alter the position of the Nutmeg state presidential primary in 2016. Both pieces of legislation were sponsored by minority party Republicans, but are not replicas of each other.1 One is actually quite unique. Senator Joe Markley (R-16th, Cheshire) put forth SB 610, which would shift the Connecticut presidential primary from the last Tuesday in April to the first Tuesday in March. Now, it should be noted that Connecticut moved from the first Tuesday in March to the first Tuesday in February for the 2008 cycle. That move brought the presidential primary there back to the earliest allowed date according to national party rules at the time. 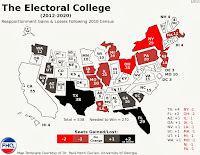 When those rules changed for the 2012 electoral cycle, Connecticut was one of those 18 states that had to move back to comply with the rules eliminating February contests. 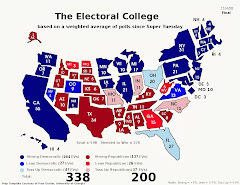 Instead of opting to move back a month to the then newly established earliest date -- the first Tuesday in March -- Democratic-controlled Connecticut decided to move back in to April to hold a primary concurrently with contests in Delaware, New York, Pennsylvania and Rhode Island. 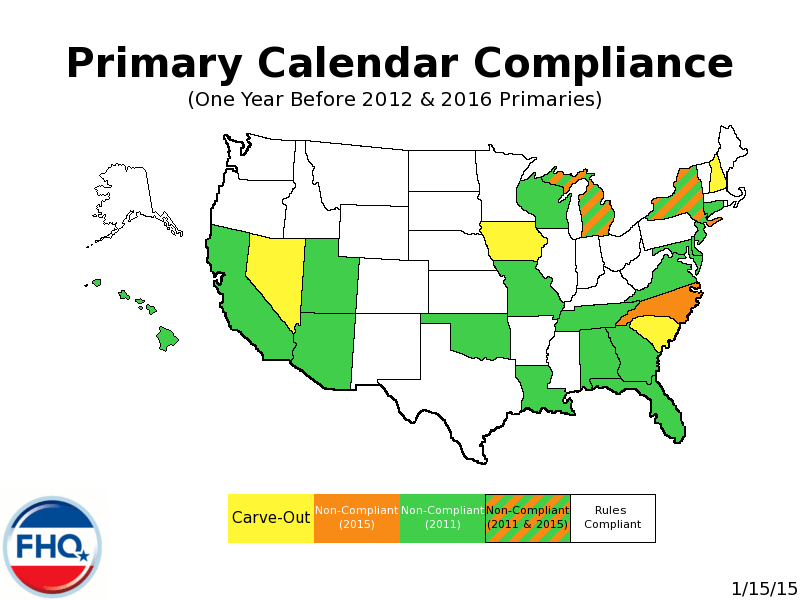 Democratic states with non-compliant primaries were much more likely to move to late March and even April dates than non-compliant states under unified Republican control. Now, it appears that at least some elected Republicans in the Nutmeg state want to reverse course and hold an earlier primary in 2016. But they -- along with Democrats in the state Senate -- will have a couple of options to discuss. SB 610 shifts the presidential primary to the first Tuesday in March, but SB 599 -- introduced by Senator Michael A. McLachlan (R-24th, Bethel) and co-sponsored by Representative Richard A. Smith (R-108th, New Fairfield) on the House side -- would move only the Republican presidential primary in Connecticut and move it to the first Thursday in March. First, the bill proposes splitting up the Republican and Democratic presidential primaries. The Republican contest would move to March while the Democratic contest would continue to be scheduled for April. This happens in some states, but typically it means that one party has opted into the state-funded primary election while the other major party has opted to fund its own (usually) caucuses to select and allocate delegates. We also see this in states where both parties conduct caucuses. Those cross-party contests are sometimes on the same date, but often not. With the exception of South Carolina, states do not often fund two separate presidential primary elections.2 It is expensive. That could be a roadblock to minority party Republicans trying to find support for this measure. The other strange thing about this second bill -- SB 599 -- is that it seeks to move the primary from a Tuesday in April to a nontraditional Thursday position in March. This would appear to be a nod to the reality that the first Tuesday in March -- the earliest allowed date -- may be a crowded slot on the calendar. It does have a southern flavor to it at this point and looks to be getting even more so, but could be attractive to any state, southern or not, seeking to attempt to influence the presidential nomination races. Moving to a Thursday may achieve the attention while avoiding the crowd. Of course, the expenditure for the separate contest kind of cancels out the potential good a nontraditional Thursday, March 3 primary might have. Both bills offer something for Connecticut lawmakers trying to gain the state some influence in the process (if not just putting voters in a position to vote ahead of the point on the calendar on which one candidate wraps up the nomination). Moving to March 1 -- as called for in SB 610 -- would mean a primary on the likely SEC primary date, but all the non-southern states on March 1 are all northeastern neighbors of Connecticut -- Massachusetts and Vermont. Small though that collection of states may be, they would collectively serve as some counterbalance to the series of southern contests. Most likely, however, they would be ignored as most candidates focus on the southern states with more delegates. That is what makes the Thursday option potentially more attractive -- minus the expenditure. Connecticut would be the only contest on that date in between the SEC primary and the Louisiana primary that following weekend. And the proposal is not as off-the-wall as it may seem on the surface. Both Georgia and Florida considered Thursday primaries in 2012. Both bills now head off for consideration in the Joint Committee on Government Administration and Elections. 1 This differs from the two bills introduced to move the presidential primary in Mississippi on parallel tracks, one in each chamber. 2 South Carolina has had separate dates for the parties' presidential primaries, but does that to provide some flexibility to state parties that are also attempting to maintain the first in the South spot on the calendar. There is legislation currently before the South Carolina legislature to merge those two primaries. On Monday, January 19, identical bills were introduced -- one each in the Mississippi state House and Senate -- to shift the date of the Magnolia state presidential primary up one week. HB 933 and SB 2531 would move the Mississippi presidential primary from the second Tuesday in March to the first Tuesday in March. This potential shift is noteworthy for a number of reasons. First, the proposed move would push the presidential primary up to the earliest date allowed by the national party rules; in 2016, March 1. This would also position the Mississippi primary in the proposed calendar slot for the so-called SEC primary. Finally, this subtle repositioning, if passed and signed into law, would be the first time in seven presidential primary cycles that the Mississippi primary has fallen on a date other than the second Tuesday in March. Up to the 1988 cycle, Mississippi had had either later primaries or the state parties had opted to select and allocate delegates through a caucuses/convention system (see Mississippi Democrats in 1984). Should the move come to fruition, it would place the Mississippi presidential primary alongside other southern primaries in Florida, Oklahoma, Tennessee, Texas and Virginia.1 There are also primaries scheduled for March 1 in Massachusetts and Vermont. 1 There is legislation in Oklahoma, though, that would move the primary in the Sooner state back three weeks to March 22. Aside from a steady stream of light chatter throughout the late summer and fall about the proposed SEC primary, there just has not been much talk or, for that matter, action on the presidential primary movement front. Granted, while most state legislatures have convened for 2015 sessions, many have not settled in for the business-as-usual legislative work. Still, at this point four years ago, there was slightly more activity on the state-level to tweak the calendar positions of a number of presidential primaries. In mid-January 2011, there were bills that had been introduced to shift the dates on which presidential primaries would be held in 2012 in California, New Jersey, Texas and Virginia and other primary-date-related legislation in Washington. From a numbers standpoint, things are not altogether different in 2015. The stream is more a trickle with only Arizona and Oklahoma proposing primary moves thus far.1 One reaction is that it is simply too early to tell any significant difference between the two cycles. Yes, we are talking about a 50% decrease from 2011 to 2015, but substantively that represents only a subtle drop from four to two bills across cycles. That may not be enough to warrant even a meh. It is early, but there is reason to think that there will be far less primary movement in 2015 than there was in 2011. The bills aren't there, but neither is the chatter. There is no talk of what Florida might do. The Sunshine state pulled back from the 2016 precipice in 2013. The constant "will they or won't they" drumbeat about Florida in 2011 reverberated, affecting decision-making in other states (notably the carve-out states, but others as well). The most striking difference between 2011 and 2015, though, is based on the rules. Both the DNC and RNC informally agreed to a calendar structure that had the four carve-out states with February contests and all other states following in March or later. That intention has carried over to the 2016 cycle as well. The baseline, starting point calendar was different in 2011 than it is in 2015. FHQ touched on this last week (see map), but it bears repeating if not some accentuation. In January 2011, there were 18 primary states with laws in place calling for February primaries. That is, there were 18 states that were non-compliant with the delegate selection rules of both national parties. Those states had to change to avoid sanctions. That is missing in 2015. There is far less urgency on the state level to comply with the national parties' rules. Only Michigan, New York and North Carolina are in direct violation of those rules. Even then, Michigan and New York are likely to move into compliance.2 Other states could be early and non-compliant, but have options built into state laws that provide them with some flexibility (see Colorado, Minnesota and Utah). The transition from 2012 to 2016 -- from a primary movement perspective -- is a lot like the one from 2004 to 2008, but in reverse. Republicans had allowed some February contests beyond the carve-outs in 1996 and 2000, but that was limited because the DNC still set the first Tuesday in March as the earliest date on which states other than Iowa and New Hampshire could conduct delegate selection events. For the 2004 cycle, the DNC changed course, allowing February contests by pushing that "earliest date" from the first Tuesday in March to the first Tuesday in February. The state-level reaction was not a tidal wave of movement forward for 2004. Some states moved up to that earliest compliant position -- Arizona, North Dakota and Oklahoma among them -- but the significant movement did not occur until the 2008 cycle when both parties had the prospect of active and competitive nomination races. The change in rules in both national parties for 2012 was intended to eliminate the February issue. But as was the case from 2000-2008, reversing course can and usually does take multiple cycles. That is how it is in this iterative and sequential process. The national parties devise delegate selection rules often to fight the last war and the states react. Most react in accordance with those rules changes, but some do not. Those laggards are the ones the national parties target with rules changes in the next round; the next cycle. That 2016 is about cleaning up the stragglers from the national parties' perspectives instead of affecting some wholesale change in state behavior is why 2015 is not 2011. ...and we probably won't get a repeat of this. 1 Oregon and South Carolina both have primary-related bills, but neither piece of legislation directly affects the date on which the presidential primaries will be conducted. 2 Michigan Republicans have endorsed a later date and New York shifted back from February to April for 2012 (but placed a sunset provision on the change). The primary is back in February, but unlikely to stay there. Don Gonyea had a good background piece on the possibility/formation of an SEC primary this morning on NPR's Morning Edition. However, Mr. Gonyea lost FHQ when he began to place odds on which southern states would join the potential southern regional presidential primary on March 1 of next year. Alabama, Georgia and Mississippi were deemed "sure things" while it was mentioned that the "lineup could include" Tennessee, Arkansas, Texas and Florida. This not correct. It was a small section in an otherwise solid story, but it is misleading about how the presidential primary calendar forms from cycle to cycle. Some states are constant date-tweakers. New Hampshire, for instance, has to be able to change the date of the presidential primary there to stay at the front of the queue every presidential election year. They move dates every cycle. But the majority of states are not like New Hampshire: They stay in the same position if not every cycle, then for multiple cycles. Indiana has held its presidential primary on the first Tuesday after the first Monday of May for the entire post-reform era (1972-2012), for example. Part of the reason why is that the motivation is not always present in a given state to move the date on which a presidential primary is held. The benefits are not readily apparent. And even when the benefits of added attention and candidate spending are somewhat clear, the decision still has to filter through two chambers of a state legislature and garner a governor's signature. That introduces the layer of state-level partisanship and possible partisan gridlock (which FHQ discussed in some detail recently). But here's the thing: When a state legislature cannot pass legislation moving the date of the presidential primary or has not passed legislation the default position of such a contest is the position described in state law. That very definitely affects the odds of a state joining a proposed regional primary or in moving a primary to an earlier date as has been the fashion for much of the post-McGovern-Fraser reform era. Arkansas may join the SEC primary, but it could be tough. 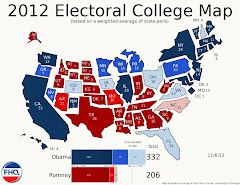 In any event, the calculus is different in the Natural state than it is in any of the other states on the SEC primary list. There is unified Republican control of the state governments in both Alabama and Mississippi and appears to be support for the idea of bumping the primaries up a week in each state. Mississippi Secretary of State Delbert Hosemann indicated to his Georgia counterpart, Brian Kemp (who is behind the SEC primary concept), that everyone in the Magnolia state is "on board". Georgia is unique in that the legislature does not factor into the presidential primary date-setting decision. Like New Hampshire, the secretary of state sets the date of the primary in the Peach state. That streamlines the decision-making process and mean that Georgia is only a formal declaration away from a March 1 primary date next year. But again, if we're trying to place odds on which states will be involved in this southern regional primary, then look to the state laws first. Tennessee and Texas are the sure things. State laws in each say so. There's still work to be done -- and potential roadblocks -- in the other states (though there does not seem to be much resistance to moving up in most of those states). 1 There may be a discussion in Florida at some point about clarifying the law, but the state legislature does not convene in the Sunshine state until March. The Oklahoma legislature has yet to officially convene, but already there is a bill pre-filed to shift the Sooner state presidential primary back three weeks in 2016. The legislation, SB 233, was pre-filed/introduced on Thursday, January 15 by state Senator Brian Crain (R-39th, Tulsa). If passed by the legislature and signed into law, the bill would move the Oklahoma presidential primary from the first Tuesday in March to the fourth Tuesday in March. For 2016, that would mean moving the Oklahoma primary out of the shadow of not only neighboring Texas but the other southern states endeavoring to cluster in the so-called SEC primary on March 1. But does shifting the primary back three weeks offer Oklahoma voters relief from the possibility of being lost in the shuffle on March 1 with Texas, Florida, Georgia and Alabama; all with larger Republican delegations -- delegates -- than Oklahoma? It could. The calendar spot three weeks later on March 22 is far less crowded than March 1 looks to be.1 Arizona is the only other state currently occupying that slot. Less competition among states on March 22 -- at least as of now -- may translate to more attention for Oklahoma and Oklahoma issues should the races for the Democratic and Republican nominations still be unsettled that deep into March. However, that may not be the only motivation behind the proposed move in Oklahoma. At least part of what drove the Arizona primary from the last Tuesday in February to the first Tuesday following March 15 in legislation passed last year was the preferred method of Republican Party delegate allocation in the the Grand Canyon state.2 Arizona Republicans have for the last few cycles utilized a winner-take-all allocation of delegates. To preserve that, Arizona shifted its primary back beyond the March 15 winner-take-all threshold detailed in the RNC rules (Rule 17.a). Oklahoma could be moving in a similar direction (or at least motivated to move in a similar direction). That does run counter to the traditional delegate allocation method in the Sooner state. It has been common for Oklahoma Republicans to allocate congressional district delegates in a winner-take-all fashion based on the vote tally in each congressional district. The at-large delegates were similarly allocated winner-take-all based on the statewide vote.3 That, too, would comply with the post-March 15 RNC guidelines, but would not mean that the statewide winner would be entitled to all of the Oklahoma delegates (as in Arizona or Florida in 2012). Hat tip to Richard Winger for passing news of this legislation on to FHQ. 1 As the earliest date on which non-carve-out states can hold delegate selection events, March 1 is attractive not only to southern states attempting to form a regional primary, but all states. 2 The other was that the Arizona primary would have violated the RNC rules on timing with a February primary which would have greatly penalized the state's delegation size. 3 That was the method used in 2008. In 2012, the Republican Party in Oklahoma made some attempt to proportionalize the delegate allocation; a move that was beyond the bare minimum required by the RNC rules that governed the 2012 process. This past week in the Oregon state Senate, legislation was introduced to shift the dates on which primary elections in the state take place. On Monday, January 12, SB 328 was introduced. The bill would take the consolidated primary elections set for the third Tuesday in May in even years and separate them. The presidential primary would stand pat, but the state and local primaries would be shifted from May to the third Tuesday in September. Now, this means very little for the 2016 presidential primary calendar and Oregon's place in the process (toward the end). Well, it means very little directly. But if this bill gains any traction at all, there would almost have to be some consideration of repositioning the presidential primary. The rationale behind consolidated primaries is twofold. First, it is traditional in some states like Oregon (or Indiana or formerly North Carolina). It is just the way things are and have been done. That said, much of that tradition had to do with the expenses associated with elections in the first place. Holding a presidential primary concurrently with the primaries for state and local offices is a cost-saving mechanism. States that conduct a separate presidential primary have the added flexibility of being able to shift the date of it around from cycle to cycle. There is, however, a price to pay: the cost of the added election. If Oregon legislators find it prudent to move or seriously consider moving the state and local primaries to a later date, it undermines the cost-savings rationale. If the other primaries move to September, then why not move the presidential primary up to a potentially more influential date? There would already have to be an expenditure associated with the election. Why stay at the end of the calendar? This bill is one to watch because, again, if it gains any traction, it becomes a potential avenue toward shifting the presidential primary date. If primary season began today, where would the various primaries and caucuses fall on the calendar? Caucuses are slightly different. State parties set the dates of the caucuses/convention process and often that is not something that is codified in the state party bylaws. In fact, those states where a date is codified well in advance of a presidential election year are the exceptions. Hawaii Republicans, for instance, set a date in their party bylaws. Colorado and Minnesota have caucus processes that are guided by state law insofar as the dates are concerned. Colorado parties have a choice between the first Tuesday in February and the first Tuesday in March for their precinct caucuses. Minnesota parties have to agree on a date for Democratic and Republican precinct caucuses in 2016 by the end of February 2015. If they cannot come to an agreement, the caucuses will be conducted on the first Tuesday in February. The carve-out states are protected by the national party delegate selection rules. The DNC has set specific dates for Iowa, New Hampshire, Nevada and South Carolina, but the RNC lets the process play out between those four states (and others). The RNC, however, does protect the carve-outs. And in 2016 that protection is more robust. Iowa, New Hampshire, Nevada and South Carolina have a month before the next earliest contest in which to schedule their primaries or caucuses. If New York law is not changed, then the carve-out states would have a window of a month before February 2 -- when the New York primary is scheduled -- to set the dates of their contests. The other part of that protection is that the national parties have more severe penalties they can use in 2016. The DNC gives its Rules and Bylaws Committee the power to increase the baseline 50% delegate penalty and the RNC rules would strip rogue states of all but 9 or 12 delegates depending on the delegation size. New Hampshire will want to be before every state but Iowa. Iowa will want to be first. South Carolina will want to be ahead of all southern states by at least a week (more likely ten days if the parties in the Palmetto state stick with Saturday primaries). North Carolina is a problem right now. The primary in the Tarheel state is tethered to South Carolina's. The state law passed in 2013 calls for the North Carolina primary to be the Tuesday after the South Carolina primary (if the South Carolina primary is before March 15. It will be.). If South Carolina plans to keep a Saturday primary, the Tuesday after that -- and thus when the North Carolina primary would be scheduled -- would violate that seven day buffer the South Carolina parties like (but is not called for in law). New York moved for 2012 from February to April, but came to February back when the law expired at the end of 2012. Michigan has signaled that it will move out of the end of February. FHQ also assumes that Colorado, Minnesota and Utah -- states with options -- will choose the later and rules-compliant dates available to them and that New York will repeat its move back to a later date in 2016. What that means is that the states that are on the calendar from March-June have contests scheduled for 2016. The dates are set in stone unless they are changed. 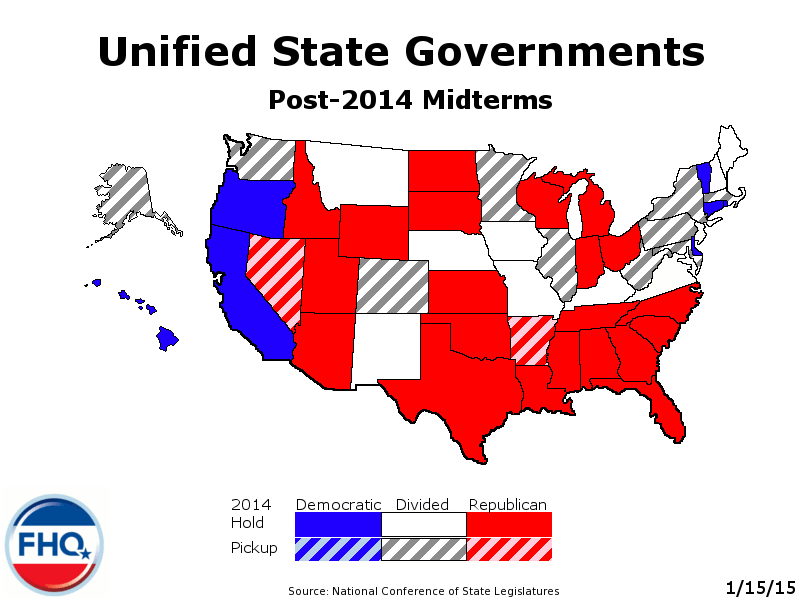 That is why the currently convening state legislatures are important to the calendar formation process. The carve-out states plus North Carolina currently have no specified dates. Given what we know from above, though, we can make educated guesses about where they would end up on the calendar. The first domino to fall would either be South Carolina or Nevada. South Carolina would be more problematic because of how the North Carolina primary is anchored to its primary. South Carolina would not, for instance, opt for a Saturday, February 27 primary and allow a North Carolina (and other southern states already schedule there) to hold contest just three days later on March 1. South Carolina would at the very least draw North Carolina into the penalized portion of the calendar (i.e. : February), so that the potential penalty would pressure the North Carolina state government into making a change to the law (or barring that, force the state parties to conduct caucuses to avoid penalty). There will be some interesting cross-party jockeying between South Carolina and Nevada as well. The DNC rules put Nevada first among the two (third overall on the calendar), but South Carolina Republicans have, by custom, gone in that third position on the Republican calendar. The point is that South Carolina and Nevada represent four contests, not two. That's four contests -- different potential dates for each party in both states -- that have to get squeezed into that month-wide window the RNC rules provide. 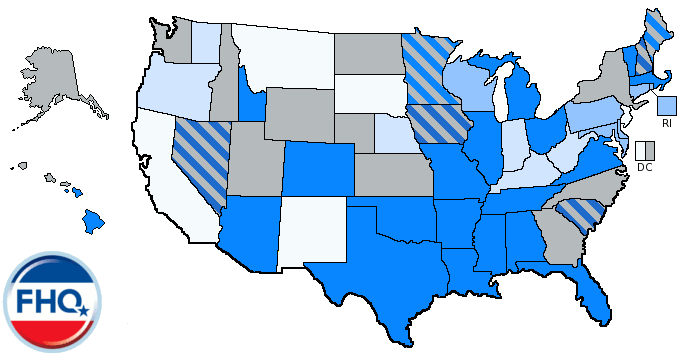 FHQ currently places a unified Nevada set of caucuses ahead of a unified set of South Carolina primaries (until more information is known later in 2015). Iowa and New Hampshire will ideally (from their perspectives) settle on dates earlier than the others once the dust has settled on all of the above. All of that is speculative. Repeat: SPECULATIVE. Given what we know, though, that is a reasonable guess about where those contests would end up. ...today. That's the huge caveat. Much will change between now and when Iowa and New Hampshire settle on dates for 2016 later this fall. As information changes, so will the calendar. 1 And even then, New Hampshire is a state that has options. State law calls for a March primary or allows the secretary of state the discretion to set the date if the presidential primary in the state is not the first primary on the calendar. South Carolina state law only guides the funding of the presidential primary in the Palmetto state. The state parties select the date or dates on which the primaries will be held. Arizona is at it again. Representative Phil Lovas (R-22nd -- Peoria, Glendale), just as he did two years ago, has prefiled a bill in the Arizona House to schedule the presidential primary in the Grand Canyon state on the same date as the Iowa caucuses. HB 2015, if passed and signed into law, would move the Arizona presidential primary from the first Tuesday after March 15 to whatever date the Iowa caucuses fall on. This all sounds like a bigger deal than it really is. It sounds as if Arizona wants to break the national party rules on timing, threatening Iowa's position at the front of the presidential primary (caucuses) calendar queue. But that likely is not the case. First of all, Lovas tried this in 2013, and it didn't go anywhere. It garnered not only a first in the West response from Nevada, but it also drew the attention of the RNC.1 When that RNC delegation came to Arizona, Lovas opted to back off the move, but also left open the possibility that he would return to it in the future. The future is now. However, this is destined to be a case of history repeating itself. For starters, Arizona has already moved its primary back for 2016. During the 2014 state legislative session, a bill was passed and signed into law that moved the Arizona primary from the fourth Tuesday in February to the first Tuesday after March 15. That bill passed the Arizona House unanimously on its way to becoming law. Lovas voted in favor of the move. Furthermore, it should be noted that if this bill shows any signs of going anywhere, it is very likely to once again draw the ire of the Republican National Committee.2 And any envoy delegation from the RNC would likely carry the added muscle of RNC Rules Committee chairman, Bruce Ash, who also happens to be the Republican National Committeeman from Arizona. This one appears to be an escalation of the same old calendar madness witnessed in 2008 and 2012. Lovas is not alone in his desire to see Arizona at the head of the pack, but FHQ does not think this bill will end up going much of anywhere. It is fun to consider the implications though. But we already did that two years ago. In any event, we will start getting a better handle on the strength of this bill when the Arizona legislature convenes to kick off the 2015 session next Monday. 1 Find more on the implications of the legislative dust up between Arizona and Nevada here. 2 The DNC would likely be interested as well, but would have little sway with Lovas or others in Arizona's Republican-controlled state government.